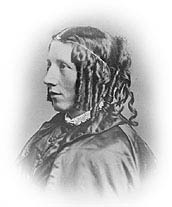 At the height of its work, during the 1850s and early 1860s, a number of prominent individuals and newspaper reporters from Canada, the United States and Europe visited the settlement, including Harriet Beecher Stowe, author of the novel “Uncle Tom’s Cabin”, who apparently patterned the hero of another of her novels after William King. Even Lord Althorp, eldest son of the 4th Earl Spencer (Princess Diana’s great-grand-uncle) visited the settlement in 1857. It was certainly well-known and well regarded, and although there were doubtless difficult times for many of the settlers, many also found a measure of happiness and success. [In his memoirs, William notes that this boy, who was studying the Classics with a view to entering the ministry, did in fact become a minister and was at that time (1892) preaching in Philadelphia]. Although the number of settlers that arrived in the Elgin Settlement between 1849 and the end of the American Civil War was only a small portion of the total numbers of freed and fugitive slaves that followed the Underground Railroad to Canada, the success of the settlement and its relative harmony do make it stand out. As William King reflected in his own memoirs, the Elgin Settlement demonstrated “by actual experiment” that a community of former slaves, if given the opportunity, was capable of being “as industrious and self-supporting as any white settlement”: a revelation not universally recognized at the time, but with the assistance of William King and others, very much proven.